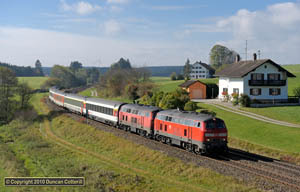 The loco lists have been updated with data from reports posted up to 21 December 2011. Lots of historic data from the 1980s has also been added. Of note during 2011 was the withdrawal of all but one of the remaining QJs, leaving only QJ 7129 at Sishui Cement Works in use until the surprising resurrection of long dead QJ 6652 for use as stationary boiler at Xi’an Bei CRH depot. There were a surprising number of new locations reported, although none come close to replacing some of the great operations lost over the past few years. Also notable was an increase in the number of locos being preserved in one form or another. Some of the locos concerned haven’t been reported for years, if at all. 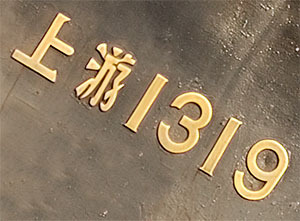 Where, for instance, was RM 1247 hiding for over 30 years before it resurfaced outside the new Shenyang Railway Museum? What other gems could there be out there waiting to be discovered? Additions to the historic lists include the first report of an active FD in the north-east, albeit as a stationary boiler at Sujiatun, a pre-production QJ in service, also at Sujiatun, SL6s at Huhehaote, RMs at Xi’an and lots of JFs, JSs and QJs. Many thanks to all those who supplied reports, sightings, information, links to photo sites or Chinese forums etc. 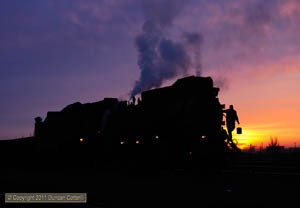 Without your help, the list wouldn’t have reached over 43000 entries covering 7200 locos at more than 600 locations. Keep those numbers coming. The German photo galleries have been updated with photos from my October trip to the Nürnberg area, featuring class 232s on freight on lines 860 and 870 to Hof and Schwandorf and electrics on line 990 in Altmühltal. 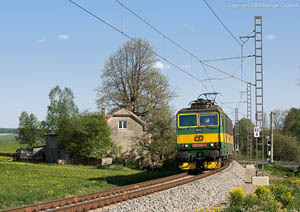 A handful of new photos have been added to the Czech photo galleries, specifically a few shots of the Letohrad - Lichkov line after electrification and a couple of recent pics of the Brno - Jihlava line. In an effort to rationalise the structure of the galleries, some gallery and photo URLs have changed so some old links may not work. 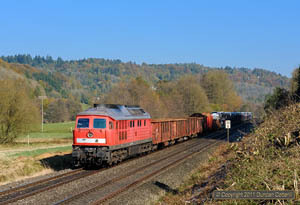 A return visit to northern Bayern to photograph class 232 and 233 "Ludmillas" working heavy freights on the scenic, diesel-worked lines east of Nürnberg. I spent four days on the Nürnberg - Hof and Nürnberg - Schwandorf lines where they cross the Frankische Alb before heading south to Altmühltal for a day of electric passenger and freight action on the Ingolstadt - Treuchtlingen line. Chinese steam may be in terminal decline but there are still a few high quality operations good enough to justify another trip. This report covers a very productive three week trip to the north of the country in November 2011, concentrating on the industrial railways at Fula’erji in Heilongjiang, Beitai and Fuxin in Liaoning and Sandaoling in Xinjiang, with brief visits to Shenyang, Fushun and Pingzhuang as well. A few photos from my September 2011 trip to the Ceske Budejovice - Nove Udoli and Cicenice - Cerny Kriz lines in have been added to the Czech photo galleries. 60 photos from my September 2011 trip to Germany have been added to the photo galleries, taking the number of pictures of German railways on the site to more than 400. A brief return trip to the scenic Ceske Budejovice - Nove Udoli line where the class 749 diesels were coming to the end of what may well be their last season. I’d visited this line twice before, in August 2009 and August 2011 but still wanted about half a dozen shots. A visit to southern Germany provided the opportunity to spend a couple of days on the line. 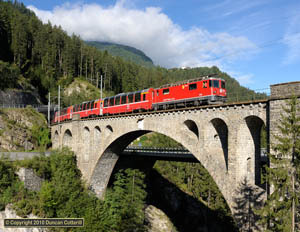 A two week trip to southern Germany designed to take advantage of the temporary closure of the Oberstdorf branch, which resulted in ALEX running five coach trains over the western section of the Allgäubahn to Lindau instead of the usual two or three coach rakes. In addition, there were EC diversions via the Allgäubahn and visits were made to the electrified Koblenz - Trier and Stuttgart - Singen lines and the diesel worked lines north-east of Nürnberg for Ludmillas on freight. A major update to the Liberec - Ceska Lipa photo gallery which now includes 34 pictures from trips in 2005, 2008, 2009 and 2011. 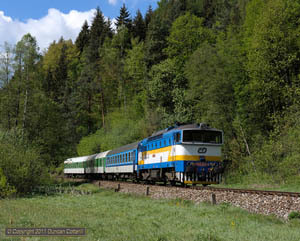 This is one of the Czech Republic’s most scenic and photogenic lines and still sees a few loco hauled passengers every day in 2011. 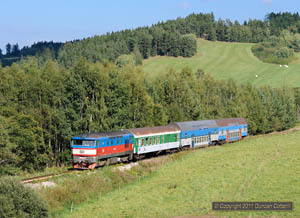 More than 40 photos taken on lines 194 and 197 in the Sumava, or Bohemian Forest, in 2009 and 2011. This is one of the Czech Republic’s most scenic areas and the lines from Ceske Budejovice and Cicenice to Nove Udoli are amongst the most photogenic on the CD system. 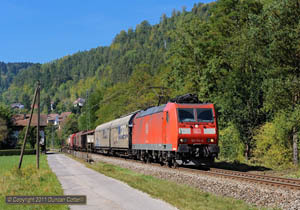 Add to this the continued use of class 749 diesels on passenger trains during the summer tourist season and class 751 diesels on a few local freights all year round and it’s difficult to resist the call of the Sumava. With the iconic class 749 diesels due to lose all their booked work in December 2011, a return visit to photograph the class at work on the Ceske Budejovice to Nove Udoli line was a must. 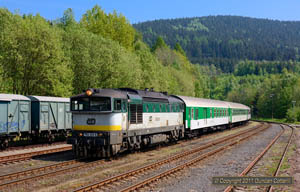 There aren’t many loco hauled trains but that’s made up for by the glorious scenery of the Sumava (or Bohemian Forest), an upland area in the south-west of the Czech Republic, bordering on Austria and Germany. 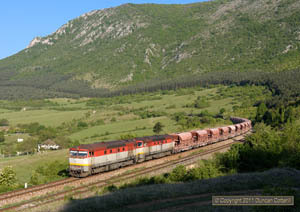 I spent five days on the line, from Wednesday 10 to Sunday 14 August 2011. A major update to the Slovak photo galleries with new pictures from my March/April and May 2011 trips and remastered oldies from 2003. The galleries now contain over 200 photos of 33 different classes in 10 galleries. 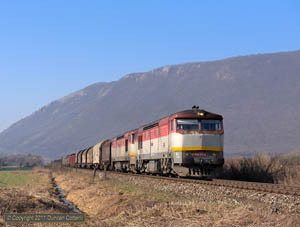 The Narbonne - Cerbere photo gallery has been updated with new photos from my May 2011 trip as well as a remastered set from my first visit in 2008. The Koblenz - Trier photo gallery has been updated with pictures from my recent trip to Koblenz and the Mosel Valley. 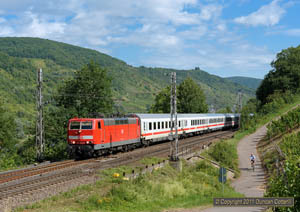 A short trip to Germany in early July 2011 for five days of lineside photography. 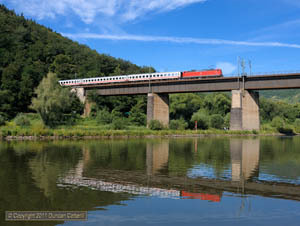 I visited the area south of Koblenz where the busy and scenic main-lines that run along the Mosel and Rhein Valleys cut through a hilly area known as the Hunsrück. most of the trip was spent on the Moselstrecke where the elusive class 181s can still be found working IC trains between Koblenz and Luxembourg. The Czech photo galleries have recently been updated with pictures from my trips to the Brno, Jesenik and Liberec areas in Spring 2011, together with some previously unpublished shots from previous trips. The Swiss photo galleries have been updated with 27 shots from my February 2011 trip to the RhB, many of them featuring the veteran Ge4/4is in action a couple of weeks before they lost most of their booked work. The Cote Vermielle is a spectacular section of the French Mediterranean coast, just north of the Spanish border, where the eastern Pyrenees tumble into the sea. The main line from Montpellier to Barcelona threads its way through a series of inland valleys, between vine clad slopes, before running along the clifftops for the last few km to the border station at Cerbere. I’d been here before in May 2008 but poor weather stopped me getting some of the best shots along the coast. I took the opportunity to do a short midweek trip from 23 to 26 May 2011 in the hope of filling some of the gaps in my collection. The report of my trip to Slovakia in late March and early April 2011, updated to include details of a second trip to the Zvolen and Roznava areas in early May 2011. This trip also included a couple of days on the electrified main line at Strba. 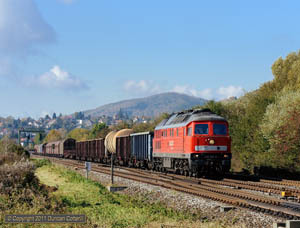 A report covering two more Czech lines visited either side of a second trip to Slovakia in late April and early May 2011. 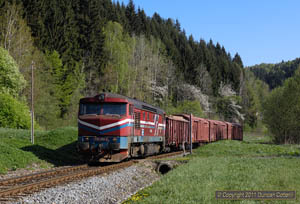 This time I visited the Liberec - Frydlant - Zawidow line, where class 753.7s haul heavy freights through the Jizerske Hory mountains, and the Sumperk - Hanusovice - Jesenik line, another scenic route with class 754s on passengers and class 751s on freight. This report covers a long overdue return to Slovakia after an absence of eight years. 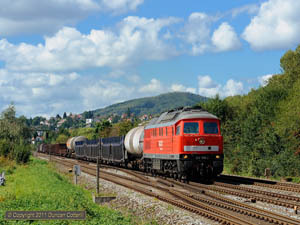 Most of the major diesel worked lines were visited including the northern end of the Prievidza - Nove Zamky line, the extensive network of lines around Zvolen and Banska Bystrica, the routes east to Kosice and Margecany and the Humenne - Presov and Humenne - Banovce lines. A report detailing a few days in the Czech Republic on the way to and from Slovakia. Most of the time was spent photographing class 754 diesels in southern Moravia on the lines from Brno to Uherske Hradiste and Stare Mesto u U.H. to Luhacovice. I also spent a few hours on the busy, electrified Praha - Ceska Trebova main line near Pardubice on the last day. 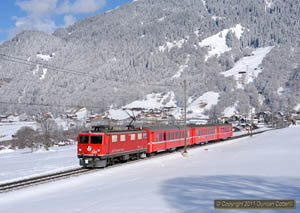 The RhB’s oldest locos, the Ge4/4is dating from 1947, are due to lose all their booked work in early March 2011 and are expected to be withdrawn in May. 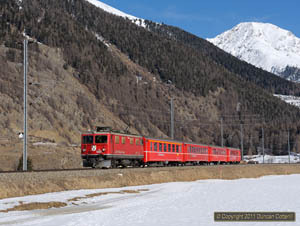 This report covers a trip to Graubünden in late February 2011 to photograph them hard at work in the glorious alpine scenery only a couple of weeks before they were due to finish. 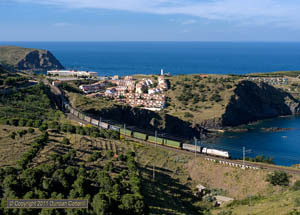 A major update to the Swiss photo galleries with many more pictures from three trips to the RhB since mid 2009. A major update to the Czech photo galleries with a number of new and remastered pictures in several galleries including Praha, Sumperk - Jesenik, Olomouc - Sumperk, Tisnov - Zdar n/S, Praha - Rakovnik and Nymburk - Mlada Boleslav. A major update to the German photo galleries including a number of new galleries and the expansion of several others. In addition to new photos from my October trip, there are a considerable number of reprocessed, and much improved, images from earlier trips back to 2006.